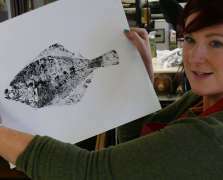 We're onto letter F on our Print Studio A-Z and we felt this was great bait to hear more about Fish Printing, one of the courses we run in our Print Studio. We caught up with Marianne Wilson, Print Studio Co-ordinator at DCA, who runs the course to get more depth on this fascinating course. Hello Marianne, thanks for chatting to us! I think a lot of people will be curious to find out more about Fish Printing. Can you tell us what the overall process involves? Fish printing is the Japanese art of Gyotaku. It is used in Japan to record the size of a caught fish before it is eaten. The process involves painting the fish with a water based ink and then taking a print from the fish onto thin Japanese paper. The process used in the Print Studio uses water based ink to obtain a print, but is more involved as we create a support for the fish that enables us to ink it up many times and so produce a number of prints. We then use mono-printing to embellish these prints and create new and interesting images. "It is used in Japan to record the size of a caught fish before it is eaten"
Can people take any kind of fish to print with? What kind do you find produces the most beautiful results? As long as the fish is not too oily it should work well. It also needs to be fresh as frozen fish can begin to break down more quickly. Sea bass and plaice work well, sea bream and also langoustine or other shell fish can produce a good print. Scaly fish can create good texture and a fish that has not been de-scaled by the fishmonger can give wonderful impressions. Is there anything you find surprises people when they come along to the course? For example, are people amazed by the results and patterns that fish can create? People are often surprised at the detail of a print and they enjoy inking up in bright colours. Participants also enjoy the monoprint element where they get to try out another printing process and use one of the print studio etching presses. 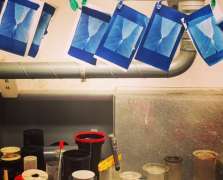 Some people might be concerned about using fish to print - what happens to the fish after you're finished printing with them? The ink used is water based so the fish could be washed and eaten if only used to take a few prints, if someone is concerned about that aspect. However if the fish is used all day for printmaking it can't be eaten after the class as it will have been sitting out in a warm studio for a long time. Thanks Marianne! 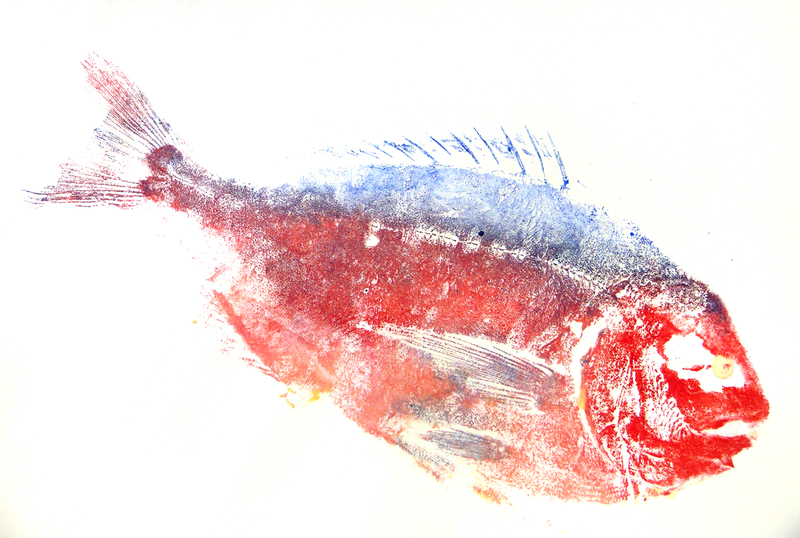 Our next Fish Printing course is coming up on Sun 30 July, click here to book. If you're interested in learning about other areas of our Print Studio, check out our Print Studio A-Z and keep an eye on it for the rest of the alphabet! 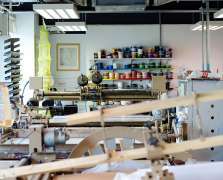 In order to shine a new light on this amazing part of what we do, we've decided to run a Print Studio A-Z. We'll be using each letter to look at an aspect of the Print Studio you may or may not have heard of before. In order to shine a new light on this amazing part of what we do, we've decided to run a Print Studio A-Z. We'll be using each letter to look at an aspect of the Print Studio you may or may not have heard of before. 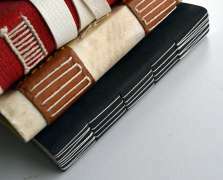 For 'B', we caught up with Emma Fraser who runs out bookbinding course!